So happy to see you blogging again. Very nice work. Great drawing, it turned out great. 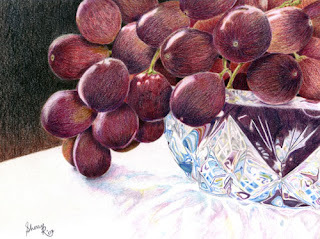 Hi Sherry..just wanted to tell you that your newest colored pencil work was well done. Hope you continue your studies. Enjoying your creative endeavours Sherry. Keep it up!